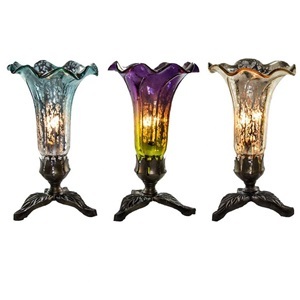 A set of three, to give as gifts, or keep for me! 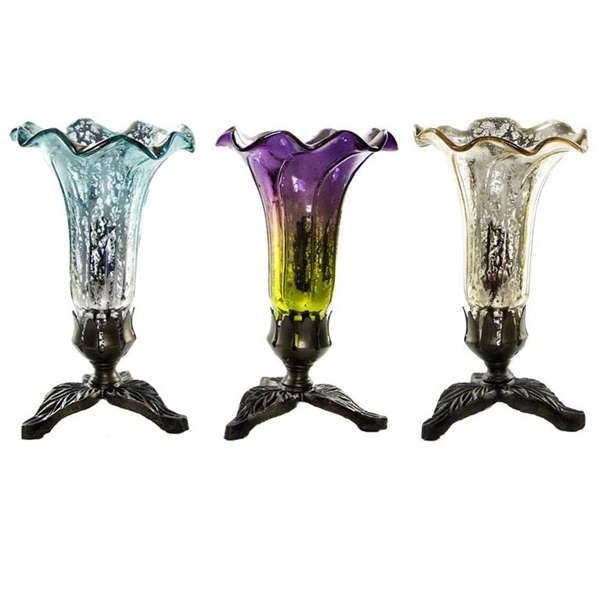 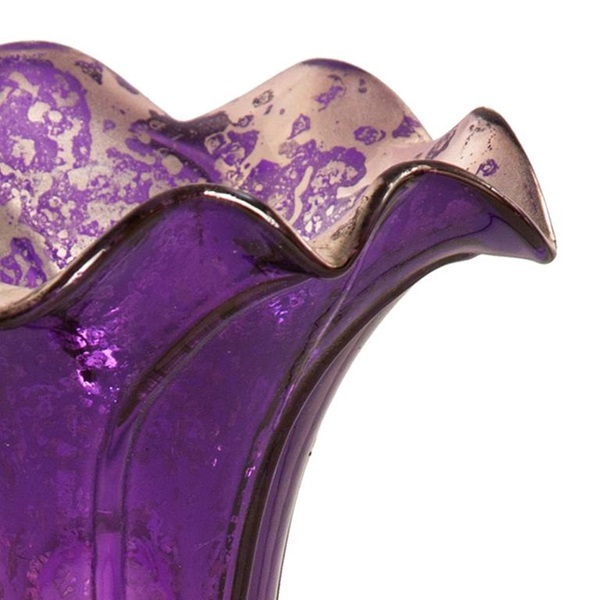 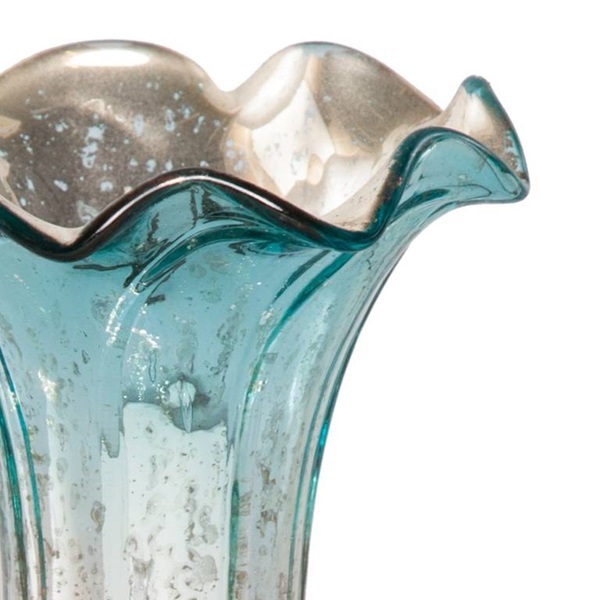 Included are three 8.25"H hand blown mercury glass lily lamps in vibrant colors. 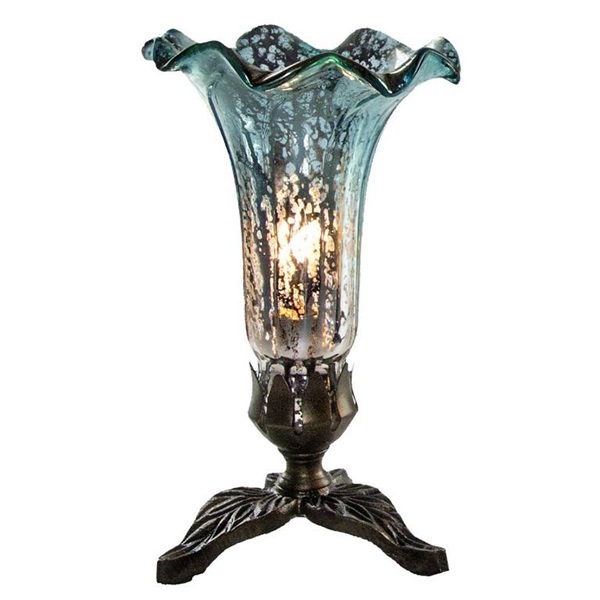 A three leaf hand casted metal base completes the overall look. 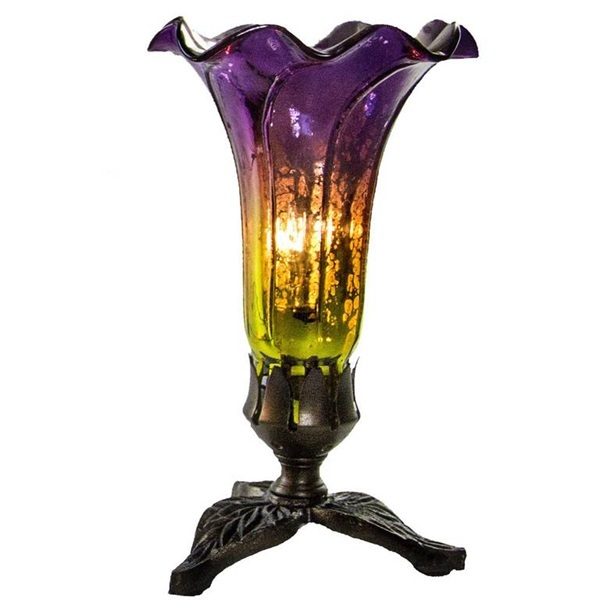 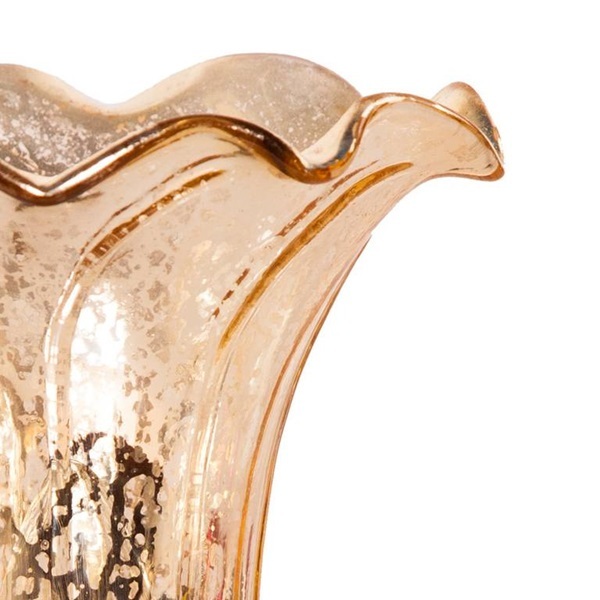 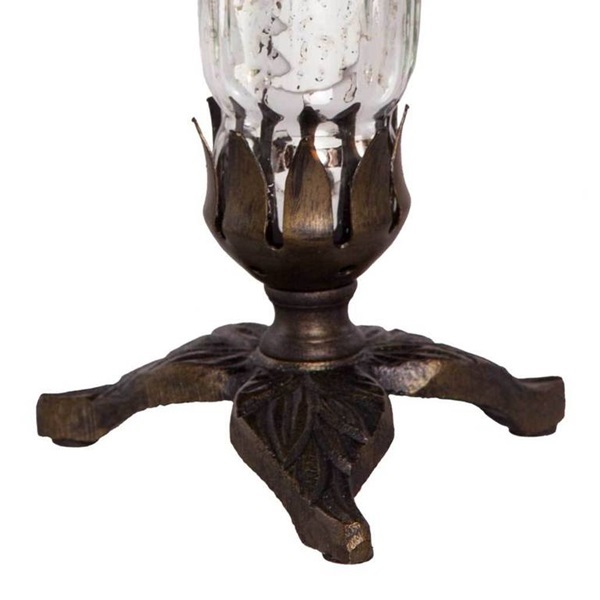 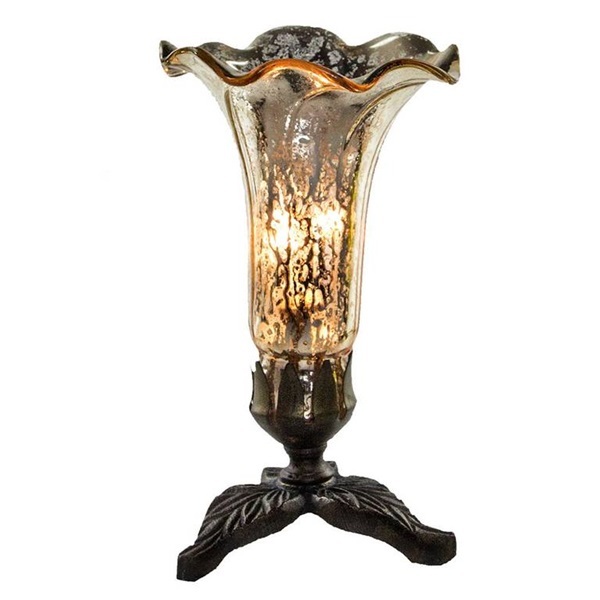 Inspired by the Louis Comfort Tiffany classic, the Pond Lily, these lamps will add a bit of color and charm. 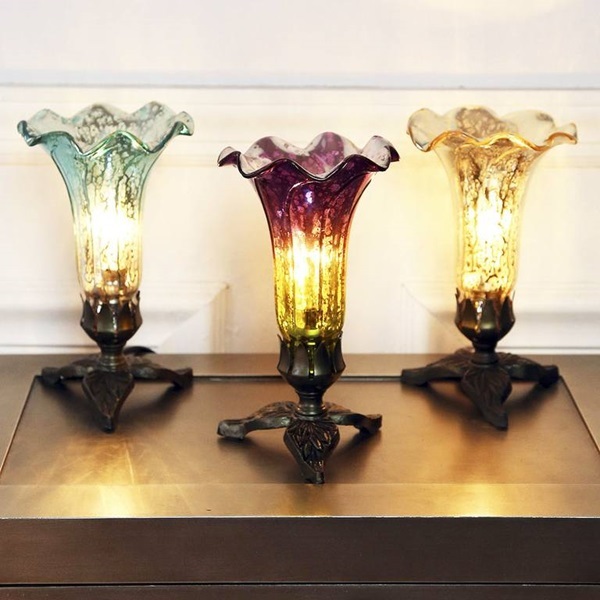 These lamps are easy and convenient gifts.